Attorney E. Michael Vereen III is a sole legal practitioner with a specialization in DUI, criminal, bankruptcy, and personal injury cases. 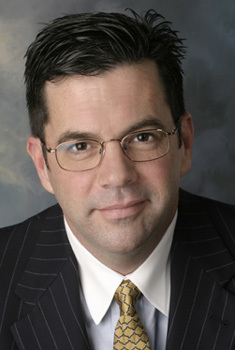 A member of the bar in Georgia since 1989, E. Michael Vereen III draws on 25 years of experience to provide clients with high-quality legal services, including in reference to alcohol laws. In the state of Georgia, an adult may purchase and drink alcohol from the age of 21. When parents or legal guardians are available to supervise, adults between the ages of 18 and 21 may also be served alcohol at bars and restaurants between 6:00 am and 12:00 am. Beer and wine may be purchased at grocery and convenience stores; however, spirits are available from retail package stores. When driving a vehicle, the driver and passengers must not have access to bottles containing alcohol that have been opened. For this reason, opened bottles must be transported in the trunk. The level of alcohol in the bloodstream is measured using a BAC reading (blood alcohol content). The BAC limit is 0.08 percent, over which a driver may be deemed intoxicated according to the law. A driver with BAC exceeding the legal limit by a large amount may incur a harsher punishment. This may also be the case for drivers who choose not to cooperate with testing procedures. Punishments can include driving license suspensions for various periods, a vehicle interlock device, alcohol treatment and education, or vehicle confiscation. E. Michael Vereen III Attorney at Law. (770) 345-9449. Vereenlaw.com.